Mr Bean star Rowan Atkinson has crashed his supercar. Don't worry though, the star is fine even if his car has suffered. 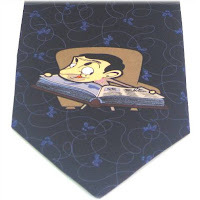 The comedy character features on this novelty tie.